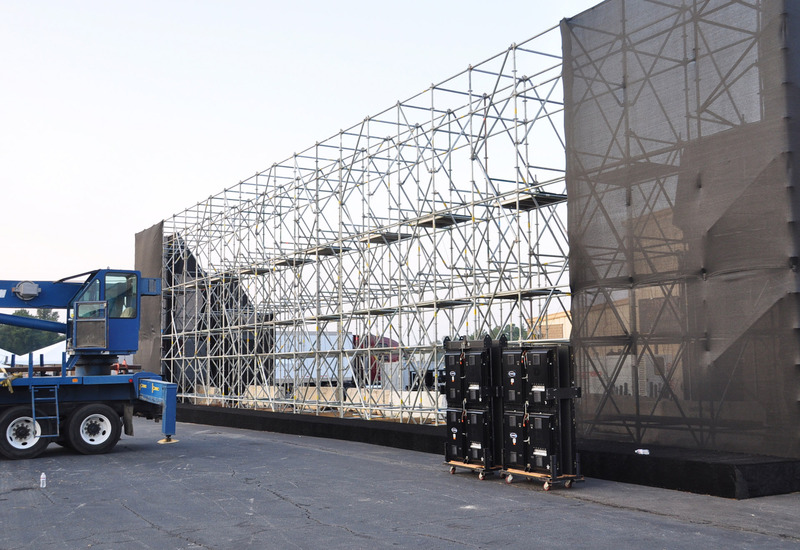 At the time, it was the largest freestanding LED display ever constructed. 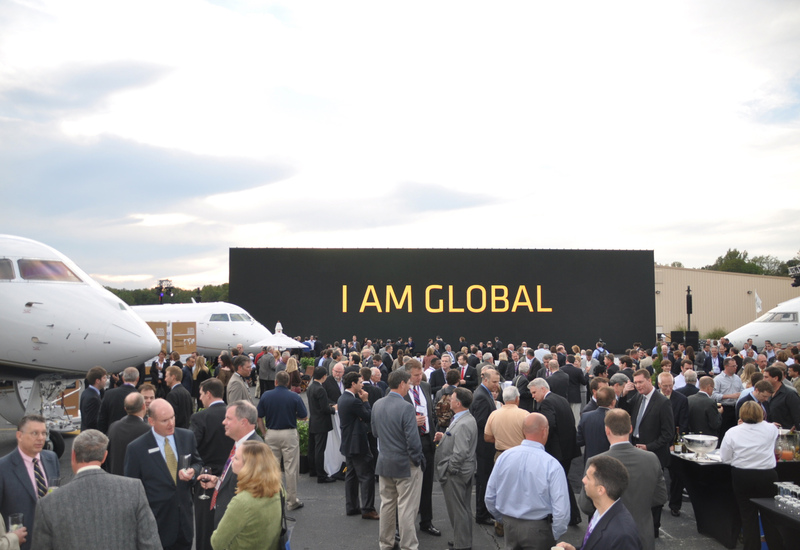 A 27’ x 115’ LED screen was deployed at the NBAA show in Atlanta, GA to showcase Bombardier’s new Global 7000 business jet. 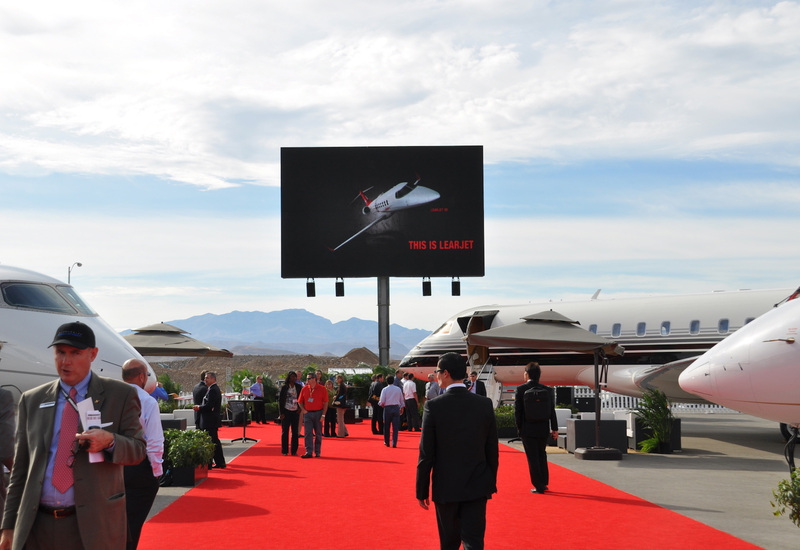 The gigantic jet-sized screen, designed by the Aileron Group, used 261 LED panels from Upstage Video and created an impressive backdrop of branded visuals, graphics, and dynamic video content.